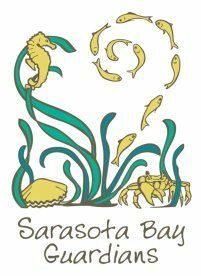 The Sarasota Bay Estuary Program's Bay Guardians are teaming up with Sarasota County Parks and Natural Resources and, Around the Bend Nature Tours for a volunteer day.The group will be helping to plant native plants and remove trash at Siesta Key beach. Check-in at Pavilion #25 which is in the southernmost picnic area adjacent to the parking lot. Park in the most southern lot. Please wear hat, sunscreen, close-toed shoes (old tennis shoes work great), clothes that can get dirty and work gloves. Also, please bring a reusable water bottle if you have one to reduce our plastic pollution. Since we will be planting bring a shovel or trowel if you have one. Bay Guardians shirts will be available for all volunteers! If you already have one please wear your shirt to the event. Please carpool if you can! Lunch will be provided for all volunteers after the activities are done! RSVP Required: Click here to register!